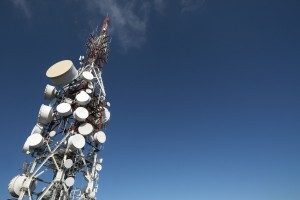 Posted: August 29th, 2016 | Author: Special Contributor | Filed under: Industry Insights | Tags: 56, innovation, spectrum, telco infrastructure, wireless | Comments Off on Spectrum is the First Step. How Will Operators Next Invest in 5G? Most software is built in layers. At the bottom sits the technical foundation, while at the very top there’s a user interface that connects man with machine. Most software users never actually deal with the technical layer – they’re happy as long as the software’s foundation works efficiently and as it should. Instead, most user interactions occur on the surface layer, but that’s not always where developers and businesses focus their attention. A lot of development time is spent shoring up a product’s technical foundation, and while it’s very important to create a functional product that’s built on strong footing, a subpar user interface is not enough. Users need more than that. And a major challenge is that a product’s usability is invisible by nature and usually only gains attention when something is missing. What is usability in a nutshell? The essence of it is to think about the usage of a product or service from the user’s point of view and consider the optimal way of interacting with the product to achieve maximum end-user benefits. It’s about enabling the use of a product or service to be as easy, as pleasant and as efficient as possible. It’s about simplifying complex things. Users need products that are easy to learn and to use, that eliminate error-prone conditions, that create meaningful experiences, and, not to forget, that are pleasant to look at. Products need to make sense and answer the needs of users. Users want products to be as fluent as possible, saving their time and, in the corporate world, saving their money. This need is universal no matter the software’s target group or ideal customer, whether it’s a private individual or a big global telco company. So, how do software developers get to the point where their product’s users enjoy both maximum technical performance as well as great product usability? One has to bear in mind that great product usability, as abstract as it sounds, is not a complementary asset – it’s an integral must-have quality for any service or software. The process of ensuring a service or software has the best possible usability goes alongside the whole development process, from requirements gathering all the way to delivery and beyond. It’s not only end-users that benefit from an integrated approach to addressing software usability. Developers and businesses stand to benefit, too. By utilizing user-centric design methods from the beginning, it’s easier for developers to track what customers want and compile a comprehensive list of product requirements. In fact, it would be beneficial for all parties, if possible, to have continuous communication between customers and the user experience design team to track satisfaction with a product’s usability and features. After feedback is received and new product requirements determined, continuous end-user feedback and validation during the design and development stages will ensure faster progress and earlier resolution of design flaws or feature missteps. Failing fast saves development time and money. 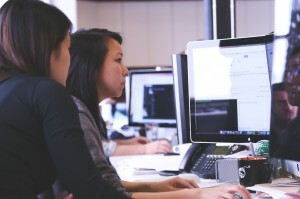 The Comptel user experience design team utilizes user-centric design methods that aim at taking the end-user into account from the very beginning of the design process. The range of different methods is vast, varying from user interviews to focus groups, workshops and co-creation. End-users and experts are an integral part of the design process and their knowledge is being utilized at all phases. We aim to achieve continuous dialog with our end-users. Let’s not forget that Comptel is not the only business operating in the area of telco software development. We always ask ourselves: How can we differentiate from the other providers in this highly competitive environment? What makes us better? When a software’s technical performance, feature list and price are approximately on the same level, it’s the surface-level usability that makes the difference to customers. So we work to deliver a superior user experience that customers know is quintessentially Comptel. You can’t create a world-leading software product without offering both great technical performance and a great user experience. And you can’t deliver a great user experience without supreme product usability. These factors combined equal quality. And quality is our key driver. Pop quiz: which app holds the record for the most launch-week U.S. downloads in the history of Apple’s App Store? 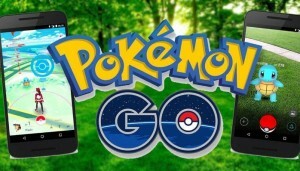 Unless you’ve been living under a rock, the answer should be fairly easy: it’s Pokémon GO. The app has been a pop culture sensation since launching in the U.S., Australia, the U.K. and New Zealand. It’s the biggest mobile game in U.S. history, and enjoys 21 million daily users on average. The average mobile iOS user spends more time on the Pokémon GO than they do Facebook, Snapchat, Twitter and Instagram. That level of engagement for a brand-new app is extraordinary. Recognising that fact, T-Mobile U.S. rolled out a compelling offer for its mobile subscribers as part of its “T-Mobile Tuesdays” campaign: free, unlimited data to play Pokémon GO for up to one year. T-Mobile has been at the forefront of programs that make data available to subscribers for free. Its “Binge On” program allows customers to access more than 75 streaming video services without using their monthly 4G LTE data allotment. Customers love streaming content and games, but they are reluctant to engage with certain activities because it’s perceived they might consume too much of their data allowance. Sponsored data programs let them engage with those services because the cost of data consumption is covered by an enterprise, such as the content provider. Through agreements with streaming content providers or mobile app developers, operators remove the financial barriers that might have discouraged customers from accessing these data-hungry services. As an effective monetisation strategy, sponsored data endears you to your customers, establishes greater levels of satisfaction and loyalty, increases data consumption and creates long-term revenue-generation opportunities. At this past TM Forum Live! in Nice, we demonstrated a business model for enterprise sponsored data through a Catalyst championed by Orange. 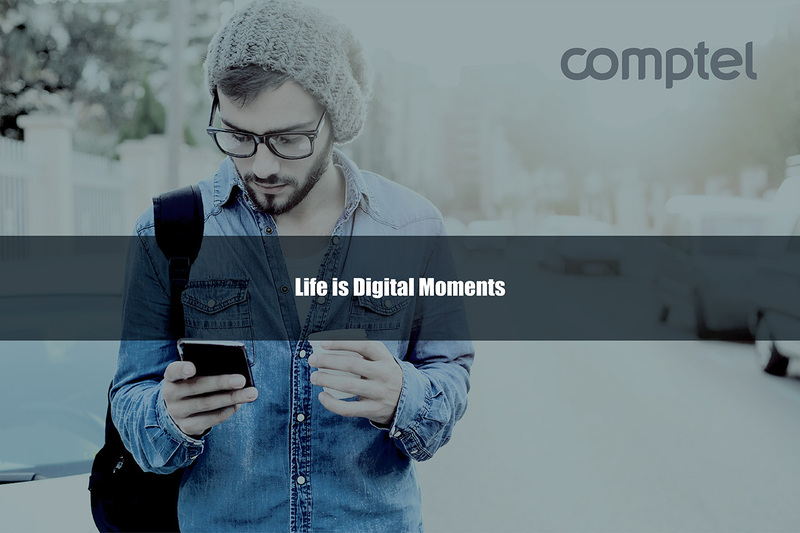 Our initiative – which was awarded “Most Innovative Catalyst – Commercial in the Communications Industry” – used Comptel’s Intelligent Fast Data capabilities to create personalised data offerings for enterprise customers, allowing those enterprises to collect usage data and apply policy control. It’s not just streaming content providers who can get involved. Operators could identify new avenues to revenue in the B2B market. A business could purchase a corporate data allowance, for example, that sponsors all data its employees use to access corporate services, like Office 365, via their personal mobile devices. That eliminates any potential hesitancy on the part of employees, who otherwise may not want to use up their personal data allowance for work purposes. Whether for work or play, sponsored data programs could be a major opportunity for operators to drive more revenue opportunities from data services. As digital services take up a bigger share of smartphone usage compared to voice and mobile, these new avenues to revenue will be crucial for operator business growth. Read more about Comptel’s Catalysts at TM Forum Live! 2016, which included partnerships with Orange, Telefonica, Salesforce and IBM. 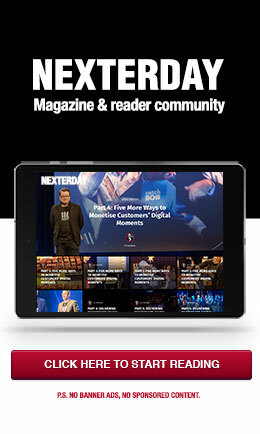 Keep up with the conversation around mobile monetisation at Nexterday.org, our reader community and online magazine.